At the Balanced Platter yesterday (oops! I forgot to post about it yesterday) I shared Chai Spiced Coconut Quinoa Cereal. Try this delicious, creamy cereal this fall for a breakfast that will stick with your kids during their school day. Our area is in the middle of a heat wave. BUT in just a few short weeks it will be fall and time for warming breakfasts. 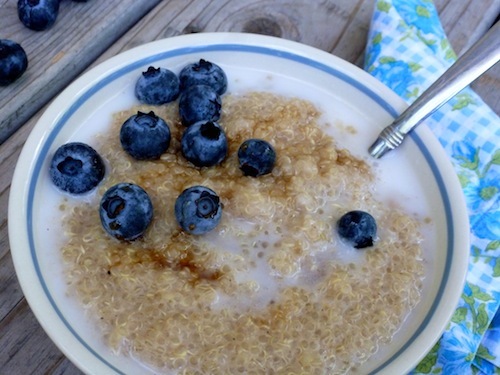 Chai Spiced Coconut Quinoa Cereal is pre-soaked for increase digestibility and to speed the morning cooking. 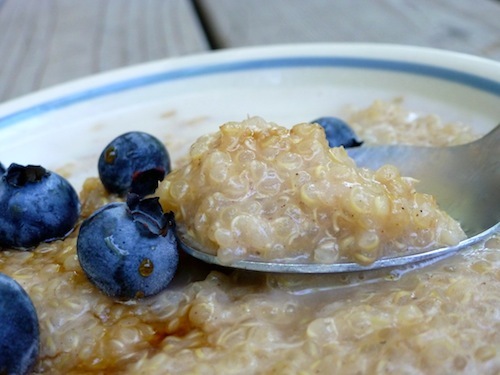 Coconut milk adds creaminess and maple syrup and chai inspired spices add sweetness.